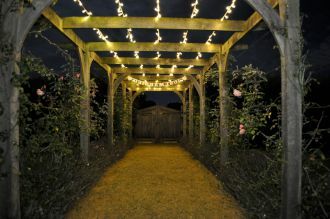 The immaculately maintained garden area adjacent to the barn at Stonehill House really adds to the available entertaining space during the daylight hours of a wedding reception. However, being in the Oxfordshire countryside does mean that it can be very dark once the sun goes down as there are very few external lights. That's where we come in! 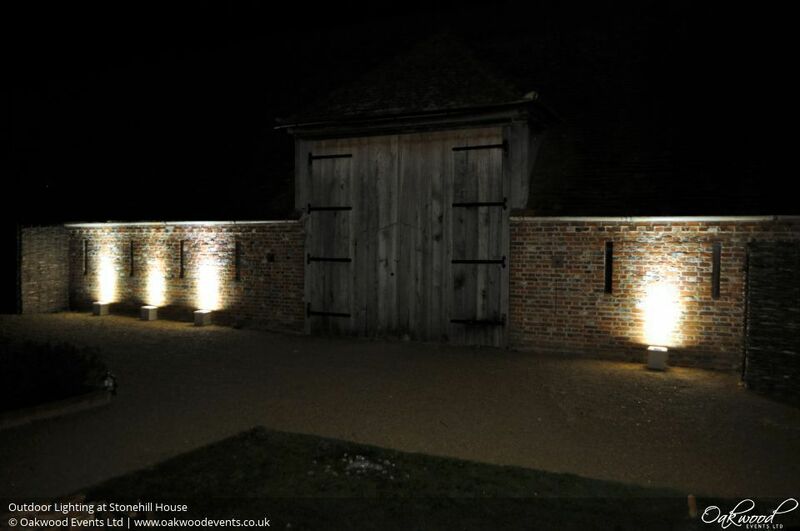 We can supply additional outdoor lighting to make sure you and your guests can continue to use the outdoor space all evening. The gravel area just outside the large barn doors can be lit with wireless outdoor uplighters, which bounce light off the barn walls to provide plenty of light without being too glaring or harsh on the eyes. A simple warm white is the most popular colour here, but plenty of other colours are available to choose from. 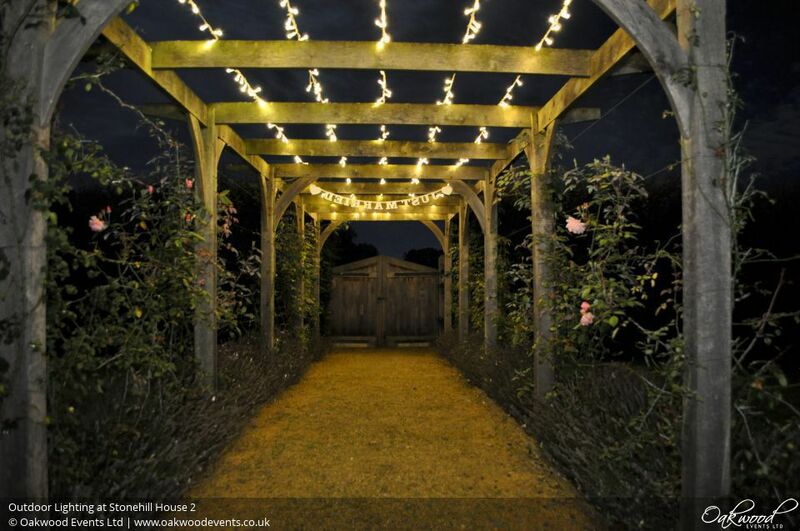 A great way to add extra sparkle to the garden in the evening is to add our bright fairy lights to the wooden pergola that leads from the garden to the car park behind, lighting up the surrounding area and showing guests the way to their cars at the end of the night. If you have any questions or would like to discuss lighting ideas for your wedding at Stonehill House, please feel free to contact us here.